Sarah took to the streets recently (Saturday 11th January) to speak to local residents about the cost of living crisis which the Labour party have named Cost of Cameron. Sarah was joined by local government candidate Stuart Sansome and Councillors Jahangir Akhtar and Kath Simms, on a market stall in the centre of town as they encouraged members of the public to sign a petition calling on the government to freeze energy prices. They chatted to local residents about how they are worse off under the Tory-led government and the feedback received was that they've been hit hard by rising fuel, and energy prices, higher rents, childcare costs and wage freezes. One woman told us her mum's already being hit by the bedroom tax, and with gas bills going through the roof, she's having to choose between eating and heating. The drive was part of a nation-wide campaign on Saturday 11th January by the Labour Party who had MP's up and down the country out in the community engaging with local families. 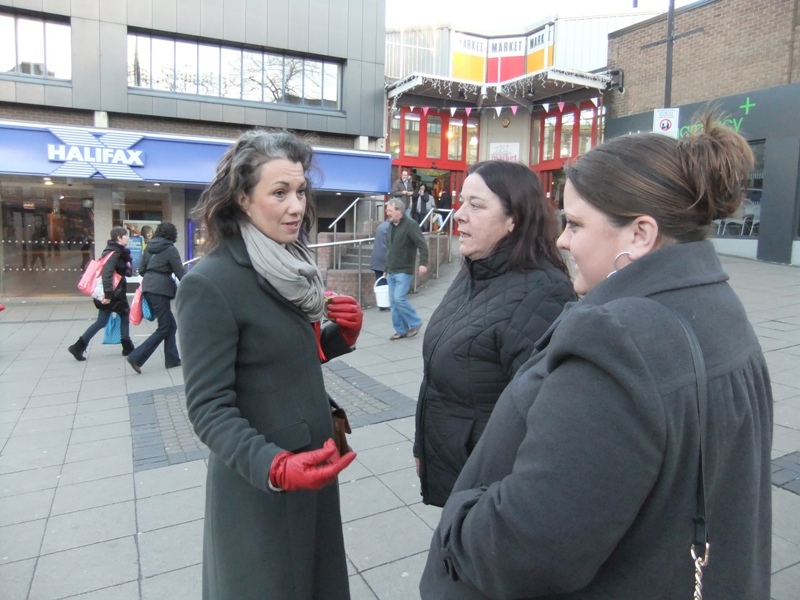 Sarah said: Residents in Rotherham are suffering a rapidly increasing cost of living under this Tory-led government. Fuel prices are rising, rents are up and the cost of a weekly grocery shop hits local people hard. On top of this, many people have had their pay frozen, so are facing salary cuts as the average real terms wage in Yorkshire is now £1,876 lower than it was in 2010. Residents tell me that they are having to choose between heating and eating because they can't always afford to do both. Labour would tackle the cost-of-living crisis by freezing energy bills until 2017, restricting rail fare increases to 1% above inflation, increasing free childcare for working parents to 25 hours a week and strengthening the minimum wage and enforcing it properly. I am interested in hearing from residents that are struggling with the cost of living to find out more about their experiences.